Harrington is centrally located in Lincoln County – between the towns of Davenport to the north, Odessa to the south, and Sprague to the east. A clean, quiet, town with a population of around 430, many of Harrington’s downtown buildings have survived since the early 1900’s. 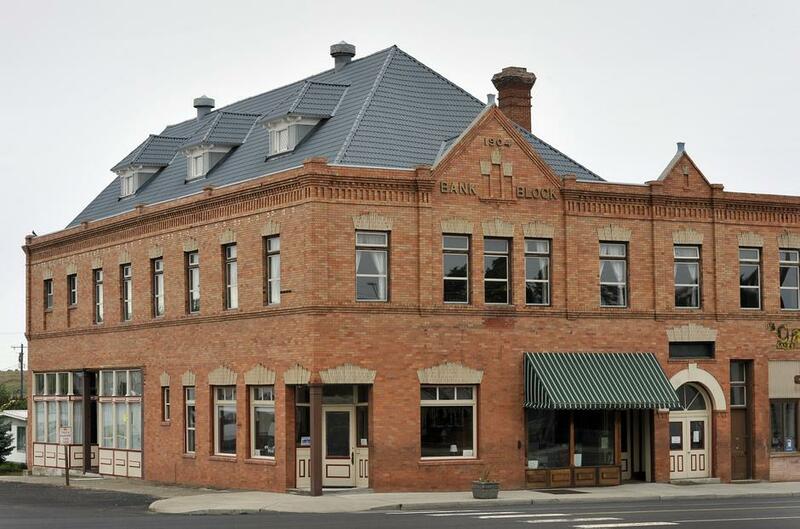 The 1904 Bank Block Building, home of the Harrington Opera House, is on the National Historic Register. Just up the street, the Hotel Lincoln is also under renovation. Nestled in the heart of wheat country, the economy is dependent on the area’s agriculture. August visitors are often treated to sightings of giant combines chomping away at fields of wheat or barley that stretch from horizon to horizon. Harrington has a renowned 9 hole golf course that draws golfers from all over the West! Another draw, is the Harrington Fall Festival held the fourth weekend in September .The Huff n’ Puff 1 mile/5K Fun run/jog/walk starts off the day’s events on Saturday followed by a typical small town parade. The Lions Club sponsored BBQ with games for families to enjoy in the Harrington City Park takes place in the afternoon in the Harrington City Park with craft & business vendors on the adjacent school grounds. Other events include the annual Harrington School Alumni Banquet. The Harrington Spring Festival has been renamed Cruzin’ Harrington Cruzin’ Harrngton activities will include city-wide yard sales, car show, vendors, discounted rounds of golf and more.